We live in a fast paced world and all that busy-ness tends to take over our life. Sometimes you just need to stop for a second and do nothing - just breathe. 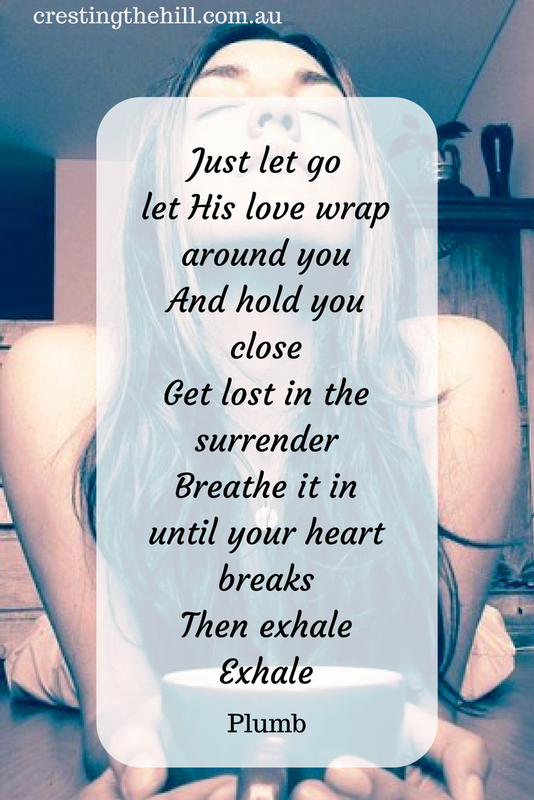 Inhale some peace and beauty and exhale some of the stress that's been building up inside. 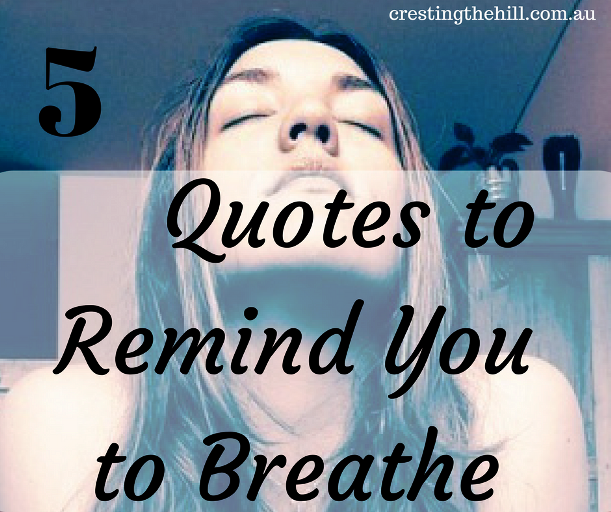 For Five Things Friday I've put together five quotes about the importance of stopping for a moment to breathe. As you browse through them, take a deep breath and feel the peace descend - then maybe pin a couple of them to remind you to stop and smell the roses occasionally. I hope you're feeling more relaxed and at peace with yourself - it's amazing what a little deep breathing can do for your soul. Taking a moment, being in the moment and quietly getting in tune with what your body is trying to tell you is so valuable. It only takes a couple of minutes and is well worth it. Thank you for the quotes. Exactly right Leanna - it's just stopping for a moment and not rushing headlong through the day. No wonder we all feel so stressed! Perfect timing as always. I am off to walk 26.2 miles this weekend. I will need quotes. My friend who I'm doing that with texted last night and told me to write down quotes on an index card so I can pull them out when I hit the wall! Ahh, that sure felt good. It really did help me breathe! 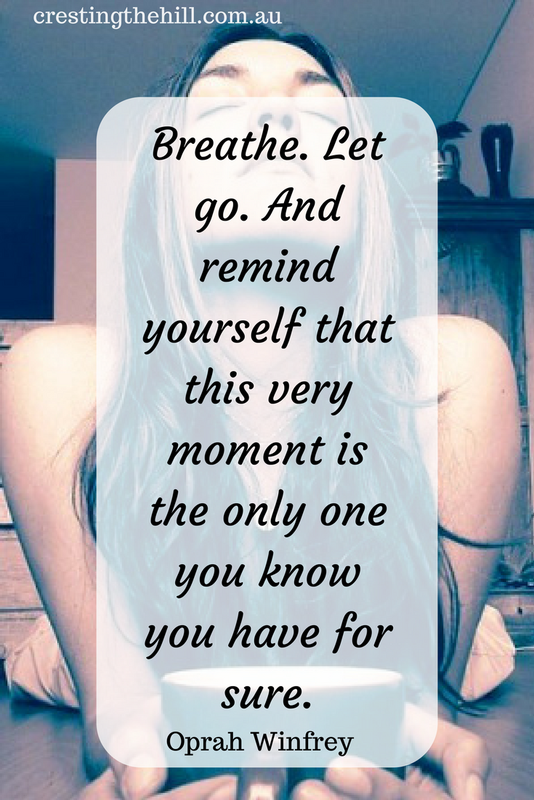 Being mindful of that breath is so important. Thank you for reminding me! Also perfect timing for me! Will share when I reunite with my computer. Thanks Alana - I think we'll need to stop and breathe a few times through August while we immerse ourselves in the A to Z Challenge! Love quotes Leanne and my favourite of these is 'breath in the sweet air of limitless possibilities'. There are so many possibilities in life we just need to stop in order to see them all. Perfectly said Sue - it's about stopping to smell the roses and seeing what surprises are waiting for us if we stop long enough for them to catch up! 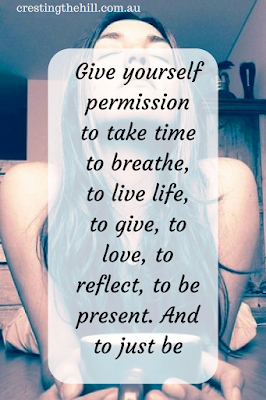 Thank you for the reminder to give ourselves 'permission' to take time to breathe. Simple advice that is easy to lose hold of in our fast pace lives. I think it's always a good thing to just slow down now and then and take stock. 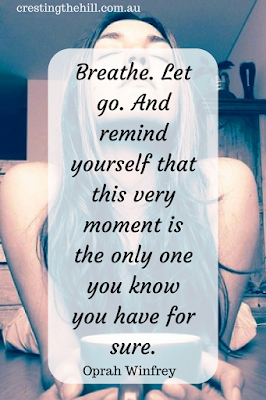 Even two minutes of breathing - and actually thinking about breathing can make all the difference can't it? 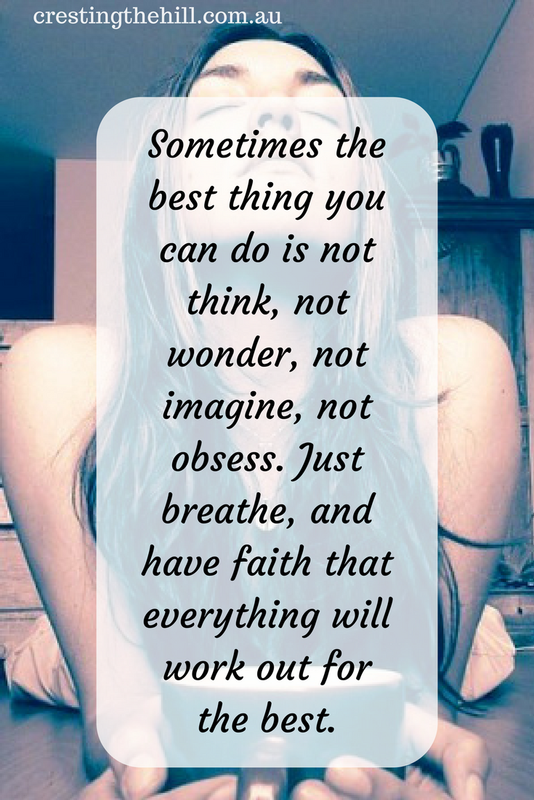 I am a huge fan of quotes Candace - they so much so succinctly - which is why my Pinterest account is chock full of them! 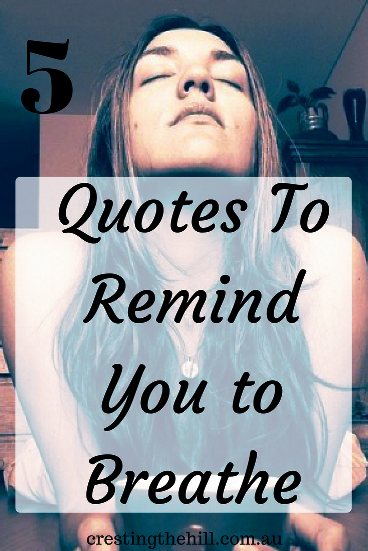 Beautiful and inspirational quotes! I need to reflect on them. Thank you for sharing at #BloggingGrandmothersLinkParty! Thanks so much Lori - sometimes a quote just catches your eye and can make a difference in your day. 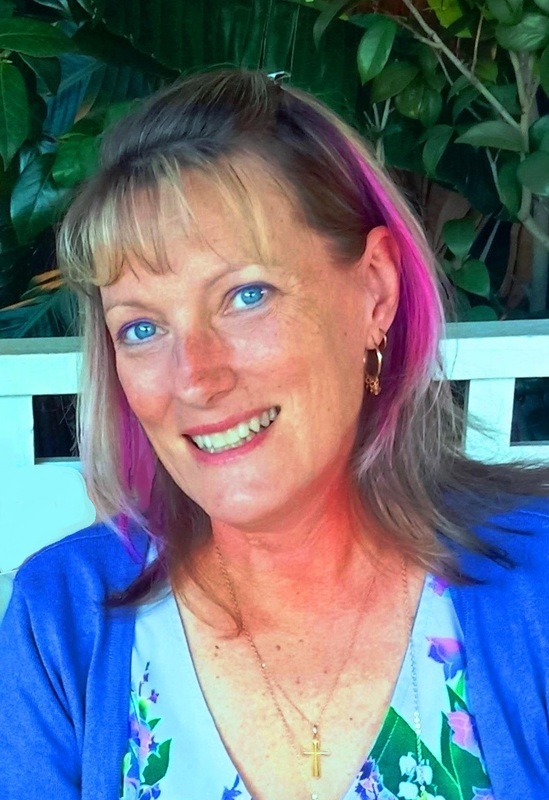 Ah, I feel better already :) Thank you Leanne for sharing this post at the #BloggingGrandmothersLinkParty. I shared it on social media. What a nice reminder that sometimes it only takes a moment to unplug and remember why you entered the race. Thank you for sharing at the #BloggingGrandmothersLinkParty. I have shared on social media. Just breath... That's the hardest thing for me to remember. Between the adult kids, their issues, my grandbabies, our business & the houses... I often forget to breath. I needed this reminder. These are perfect! If you don't mind, I'd like to write these reminders in my journal.